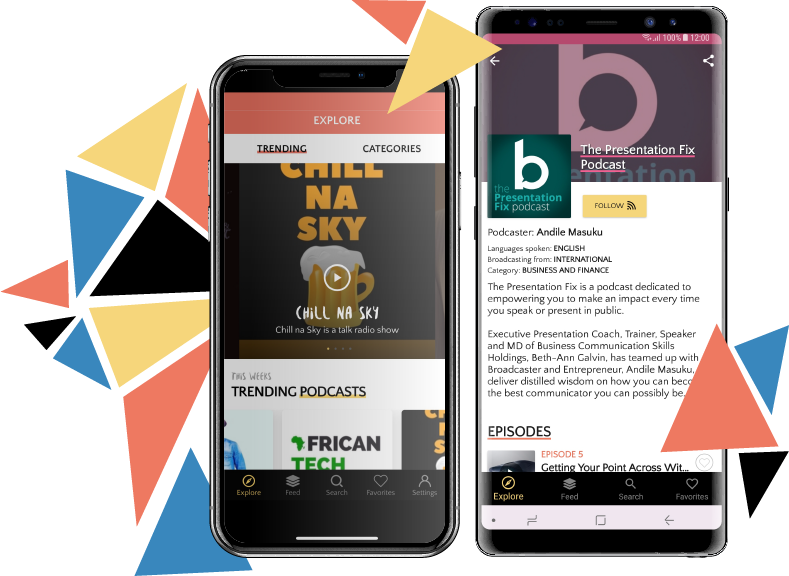 Download the Afripods App and get FREE UNLIMITED ACCESS to all podcasts and episodes on your phone both streamed or downloaded to save data. Get on Afripods to help you connect with fans and grow your audience. Get the latest news about Afripods and the podcasting community in Africa. Download the Afripods App to get FREE unlimited access to all podcasts and episodes on your phone. Donwload the app for FREE now! Copyright © 2018 Afripods (Pty) Ltd. All rights reserved.